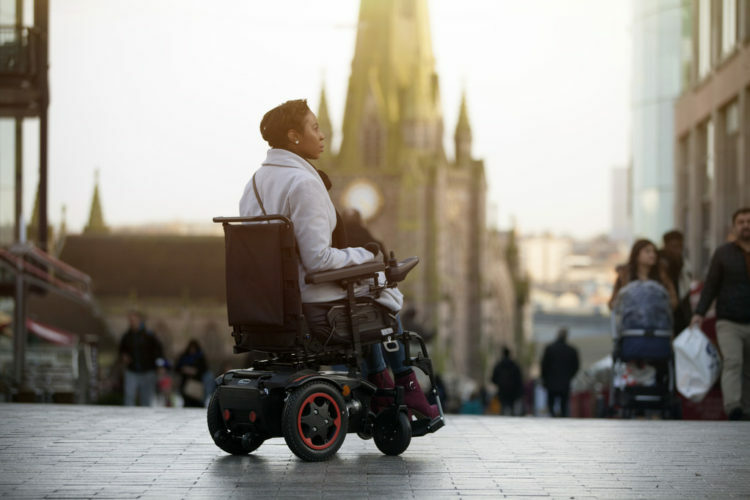 Back in February I had the opportunity try out and become the face of the a new electric powerchair, the Quickie Q100R by Sunrise Medical. 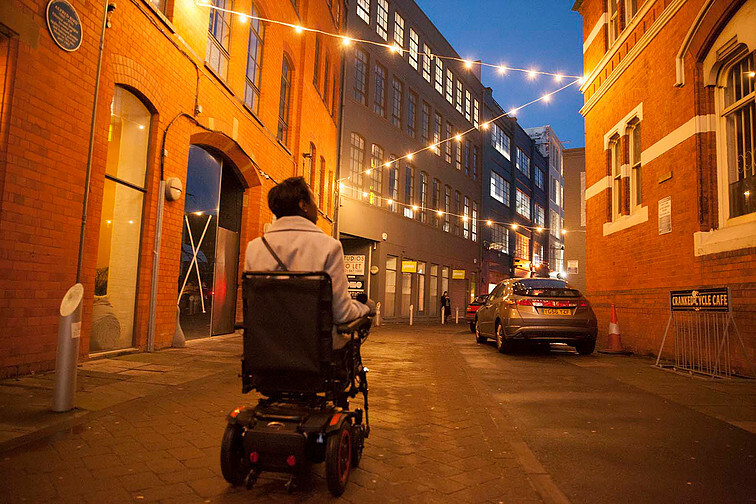 Another Zebedee model and I spent two days trialling out the new powerchairs around Birmingham city centre – staying over in a Birmingham hotel nearby. The days were spent going around the Birmingham city centre, seeing how the Q100R coped with doing the things that I would do in my day-day life. We went to the Bull Ring shopping centre for a bit of shopping, as well as going for a bite to eat. We also went on a tram to see what it would be like using public transport also went for a wonder along the canal. To be honest, I was impressed! The Q100R powerchair was great to use. It was comfortable, stable and very responsive; as soon as you pushed the joystick, for it to move, it moved. It had great acceleration with speeds up to 6kph – far faster than a brisk walk. 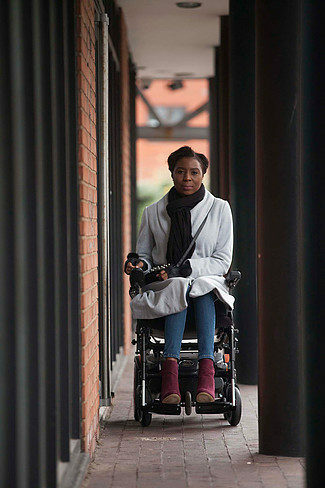 Let’s not forget about how stylish this powerchair is, I would consider myself to be a stylish person and therefore would want a powerchair to reflect that. I can safely say the Q100R does just that, It’s a cool powerchair! It would certainly turn heads, for all the right reasons. 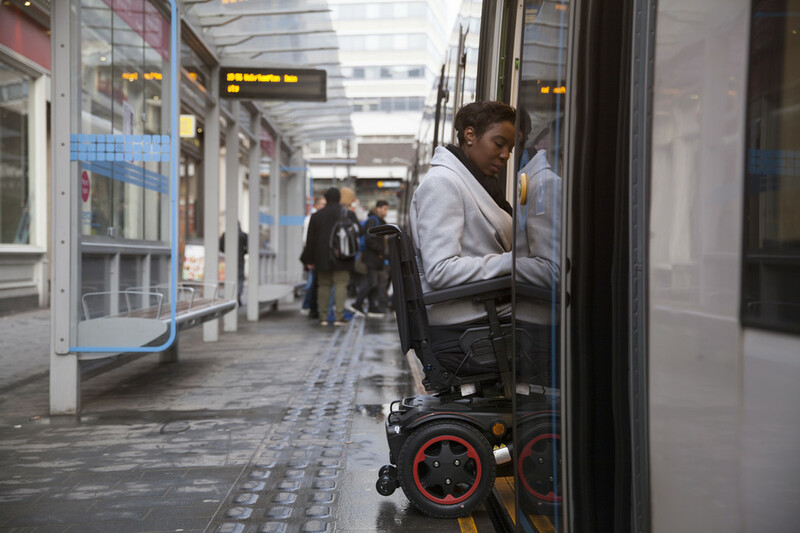 As a wheelchair user it can be difficult manoeuvre around tight spaces and through narrow doorways. 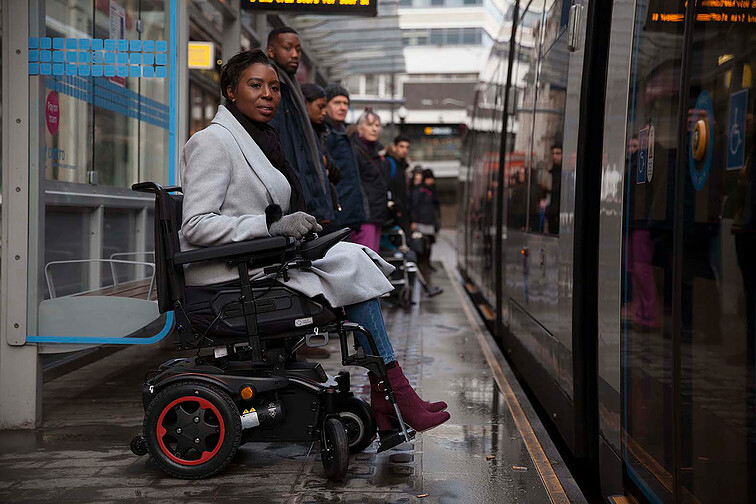 This was less of a problem using the Q100R, due to the narrow width of the chair and the manoeuvrability, which was one of my favourite features about this powerchair. 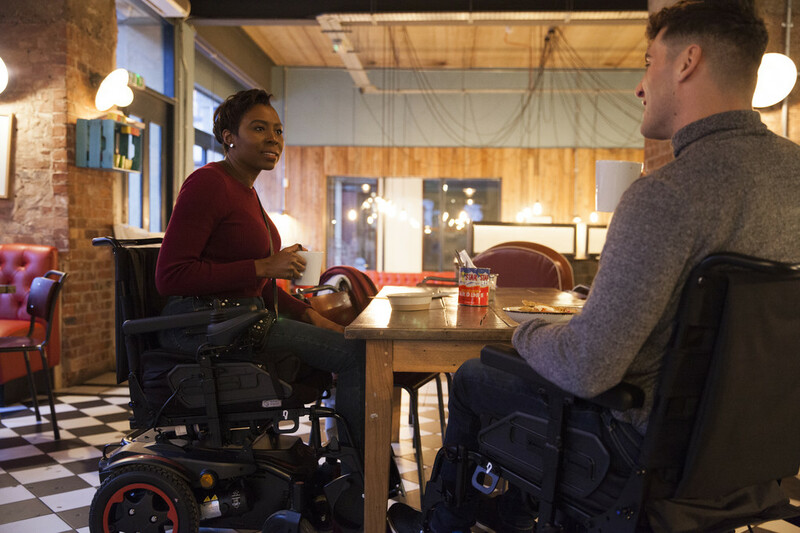 They have designed the powerchair to be narrower, while keeping the 18” seat width, meaning you can get through tight spaces that other powerchairs on the market would struggle with. So, no more taking a whole rail of clothes with you as look around a clothes store (it is so embarrassing when that happens… Lol). It also helps avoiding opting for the table nearest to the door of a restaurant, because the space in between the tables and chairs is just that little bit too narrow for you get past without asking people to pull their chair in, for you to get to your table. I can safely say if you’ve never used a powerchair before, or if you are an experienced powerchair user like me, you would not be disappointed in this chair. It’s the perfect indoor and outdoor powerchair as it ticks all the boxes. 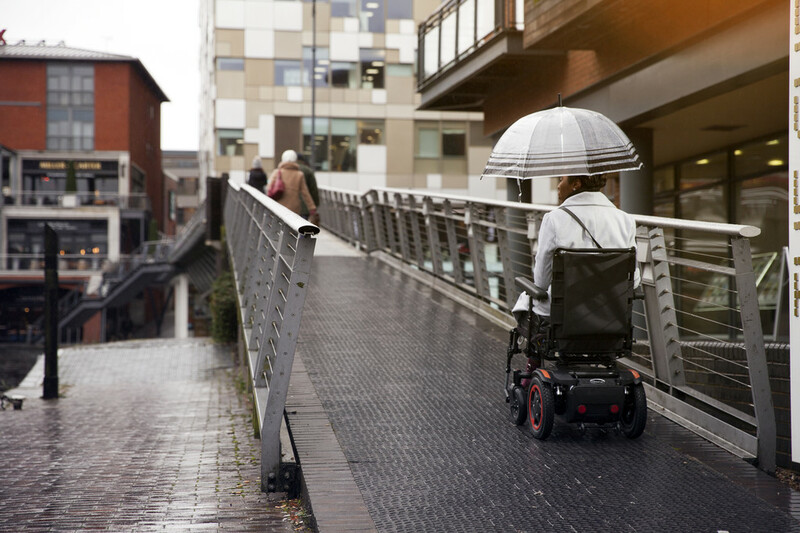 The Q100R powerchair was tested in the wind, rain, snow and awful freezing temperatures that Birmingham had to offer, and it never once let me down. 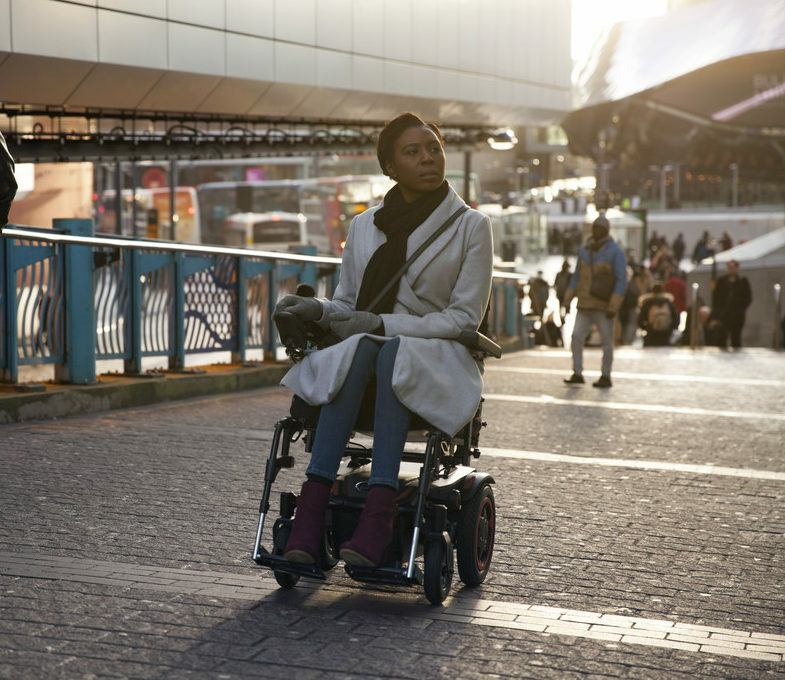 I am so pleased and thankful I got to be the face of this new powerchair. It was a great couple of days. I certainly give the Q100R by Sunrise Medical the thumbs up!